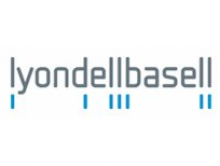 LyondellBasell is one of the largest plastics, chemicals and refining companies in the world. Driven by its employees around the globe, LyondellBasell produces materials and products that are key to advancing solutions to modern challenges  like  enhancing food safety through lightweight and flexible packaging, protecting the purity of water supplies through stronger and more versatile pipes, improving the safety, comfort and fuel efficiency of many of the cars and trucks on the road, and ensuring the safe and effective functionality in electronics and appliances. LyondellBasell is based in Victoria with a commitment to the Australian and New Zealand markets.